From the Star Wars The Force Awakens collection by Rubies. 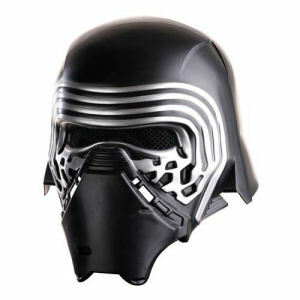 Star Wars Episode VII The Force Awakens Kylo Ren 2 Piece Helmet. From the Star Wars The Force Awakens collection by Rubies. Star Wars Episode VII The Force Awakens Kylo Ren 2 Piece Helmet. Rule the Galaxy. Ages 10 and up.